Last month I read a short piece in the New York Times about a terrorist being arrested in Chicago and didn’t pay too much attention to it. But in the middle of November this terrorist story pretty much exploded, especially in the Indian media, all the way to the Osho Resort in Pune. Turns out that the Pakistan-born terrorist David Coleman Headley (originally Daoog Gilani) traveled to India every year since 2007 – on his US passport – and not only stayed at the Taj Hotel in Mumbai before it was attacked by terrorists, but also visited the Osho Resort in Pune twice, for one day at a time. I think it is safe to assume that Mr. Headley did not visit the Resort to meditate. With a few thousand people going to the evening meditation in Buddha Hall every night, I have to ask whether the Resort security is adequate to protect sannyasins and other Osho lovers from a terrorist attack. To me the answer is clear: No! I am convinced that Mr. Headley was scouting targets for future terrorist attacks, and because of this situation, I believe the only possible and responsible policy is to cancel the evening meditation in Buddha Hall until the Resort can adequately protect everyone attending. 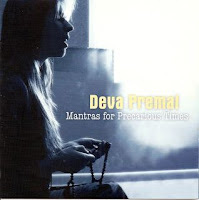 We are always happy to receive news of our friends Deva Premal and Miten. These beloved sannyasin musicians are always traveling around the world and delighting their audiences with their wonderful singing. And they are wonderful ambassadors for Osho! I still fondly (and with goosebumps) remember their last concert in San Francisco, during which suddenly Osho's voice filled the magnificent Grace Cathedral. "The room was filled with melodious voices. We were at a concert with the fabulous Deva Premal and Miten. They are masters at chanting, and at getting the audience to participate. Spending a few hours singing a foreign language (many chants are in Sanskrit) may not sound like a lot of fun, yet it has a remarkable effect. It really does uplift the spirit. "...Apart from calming the mind and reducing friction, chanting can also be powerfully healing. Miten shared the moving story of a woman who had been deeply depressed for two years, sleeping on the couch as she could not climb the stairs, waking up each morning hoping she would die, and gaining a lot of weight. A friend played her Deva and Miten's chanting and she began to sob, followed by a huge release. She played their music constantly and one morning, when she woke up, for the first time she was able to appreciate the sun filling her room. She had thoughts of how she could share love, instead of longing to die. 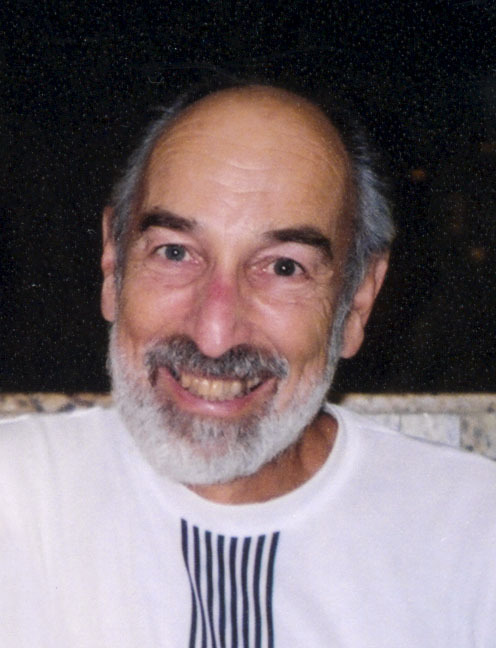 "Deva and Miten hear such stories constantly, especially from people who know nothing of the meaning of the chant but who are feeling a lack of shared spirituality in their lives and who experience a deep and joyful resonance with the sound...." Read the full blog here . Now Deva Premal's latest offering has just reached here: A CD titled "Mantras for Precarious Times." Accompanied by Miten (voice), Manose (bansuri flute), and Kamal (keyboard drone, bells), Deva sings a selection of seven mantras chosen specifically as a support during these challenging times. Each mantra is chanted for an entire mala – 108 beads. The CD includes notes on useful applications for each mantra. Over the past years I have noticed that the demand for original, unedited Osho books is huge. Many of our book buyers do not want the compilation books produced by mainstream publishers and request the original books, many of which are out of print. I am always on the lookout for such books and was recently able to buy a small collection. Book collectors know that prices for such books are skyrocketing on sites like abebooks.com or on ebay. In March and April of 1988 Osho gave a series of discourses that have remained favorites with many of his sannyasins. This was a particular “juicy” and joyful time in Poona, with Osho delighting his people with often hilarious discourses and some of his most outrageous jokes. Have you ever wondered how the Yaa-Hoo! mantra evolved? Or what triggered the creation of the Mystic Rose meditation? Or what made Osho walk out of discourse at the height of a monsoon storm? It’s all here, in this big, elegantly designed book of questions and answers. Complete with many beautiful photos, this is a collector’s item! 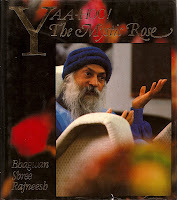 This very special Osho book is now on special sale for only $14.95 plus shipping. In these discourses Osho indicates how many of the difficulties facing modern humanity can be traced to a simple fact: We don’t know who were are. Once we recognize our own individuality, a golden future – one in which every human being can live joyously, according to his own nature – becomes available to each and every one of us. In these talks Osho reveals more of his vision for a new man and a new world. He shows us how the current global crisis ahs created a sense of urgency that can help usher in a totally new way of living. According to Osho, the coming of the new man and the new world is unavoidable, just as unavoidable as the demise of the old. Our love for music, poetry, dance, our love for love itself – doesn't that suggest an urge in us to disappear? If that is so, why does meditation, the art of disappearing, not come more naturally to us? Just as a great dancer, Nijinsky, said, "When my dance comes to its crescendo, I am no more. Only dance is." But that happens only for a small fragment of time; then again you are back. According to me, all these – poetry, music, dance, love – are poor substitutes for meditation. They are good, beautiful, but they are not meditation. And meditation does not come naturally to you, because in meditation you will have to disappear forever. There is no coming back. That creates fear. It happens in poetry, in music, in dance, only for a small moment that you slip out of your personality and touch your individuality. But only because it happens for a small moment, you are not afraid; you always come back. The Upanishads say that the master is a death. It is an incomplete sentence. The master is a death but also a rebirth, a resurrection. A master is nothing but meditation. A master simply gives you a meditation; he cannot do anything else. He gives you the meditation to die and to be reborn. A meditator can play music and it will have a totally different significance. A meditator can write poetry, but then the poetry will not be only a composition of words. It will express something inexpressible. A meditator can do anything, but he will bring to it a new grace, a new beauty, a new significance. Music, poetry, dance or love can become hindrances to meditation if you stop at them. First comes meditation, and then you can create great poetry and great music. But you will not be the creator; you will be just a hollow bamboo flute. The universe will sing songs through you, will dance dances through you. You will be only an address – c/o you. Existence will express itself, and you will be just a hollow bamboo. Meditation makes you a hollow bamboo; then whatever happens through that hollowness, that empty heart belongs to existence itself. Vasumati's comments on: "Therapy and Meditation in the World of Osho"
In my case meditation was not higher or more mature than therapy or inquiry. Both grew simultaneously. Originally my journey into meditation was a personal love affair with Osho. I was not looking to go beyond the mind or the ego. I was in love, and the Being I was in love with also happened to be my Master. It was far more than just the impersonal space of meditation. In the years after Osho left the body new ground as a seeker had to be developed that put the onus for awakening on me and not on someone who would do it for me. There was no external Master and no lover. Therapy helped unearth the patterns, and meditation helped me be with it and find the inner space necessary to allow the shifts to take place and the understandings to integrate. Therapy has been of tremendous help to me, and I will never feel that I should not need it. Meditation is the greatest gift I have received this lifetime. I will carry it with me through all the stages of life, love, aging, and death." What's new at Osho Viha in early November? Only $5.95 per video (plus shipping) or 10 videos for $49.95 (plus shipping). We have more than 500 videos: discourses and documentaries from Poona One, the Ranch, Osho’s World Tour, and Poona Two. You name it, we (probably) have it! The selection is too vast to put it up on our websites, so please contact us with your interest. A note for our customers outside of the US: The videos are in the American NTSC format, so before placing your order, please check that your VCR can play this format. Please email us at oshoviha@oshoviha.org with your inquiries. Also, we have just mailed out the November/December issue of our Viha Connection http://www.oshoviha.org/connection (see the cover above) and it is getting rave reviews. Readers seem to really enjoy the Special Section on Therapy and Meditation. Now we are starting the editing of our January/February 2010 issue. The special topic of that issue is "Loving and Relating in Osho's Sangha," which promises to be very juicy. Make sure you don't miss it. This past Sunday (November 1), we had satsang here in our house. Afterward several people mentioned that they wanted to know the "20 difficult things" that Osho spoke about in the quote that we played during satsang. So I am posting the list below. The discourse is from The Discipline of Transcendence, Vol. 2, Chapter 2. Enjoy! THERE ARE TWENTY DIFFICULT THINGS TO ATTAIN OR ACCOMPLISH IN THIS WORLD. 1. IT IS DIFFICULT FOR THE POOR TO PRACTISE CHARITY. 2. IT IS DIFFICULT FOR THE STRONG AND RICH TO OBSERVE THE WAY. 3. IT IS DIFFICULT TO DISREGARD LIFE AND GO TO CERTAIN DEATH. 4. IT IS ONLY A FAVOURED FEW THAT GET AQUAINTED WITH A BUDDHIST SUTRA. 5. IT IS BY RARE OPPORTUNITY THAT A PERSON IS BORN IN THE AGE OF A BUDDHA. 6. IT IS DIFFICULT TO CONQUER THE PASSIONS, TO SUPPRESS SELFISH DESIRES. 7. IT IS DIFFICULT NOT TO HANKER AFTER THAT WHICH IS AGREEABLE. 8. IT IS DIFFICULT NOT TO GET INTO A PASSION WHEN SLIGHTED. 9. IT IS DIFFICULT NOT TO ABUSE ONE'S AUTHORITY. 10. IT IS DIFFICULT TO BE EVEN-MINDED AND SIMPLE-HEARTED IN ALL ONE'S DEALINGS WITH OTHERS. 11. IT IS DIFFICULT TO BE THOROUGH IN LEARNING AND EXHAUSTIVE IN INVESTIGATION. 12. IT IS DIFFICULT TO SUBDUE SELFISH PRIDE. 13. IT IS DIFFICULT NOT TO FEEL CONTEMPT TOWARD THE UNLEARNED. 14. IT IS DIFFICULT TO BE ONE IN KNOWLEDGE AND PRACTISE. 15. IT IS DIFFICULT NOT TO EXPRESS AN OPINION ABOUT OTHERS. 16. IT IS BY RARE OPPORTUNITY THAT ONE IS INTRODUCED TO A TRUE SPIRITUAL TEACHER. 17. IT IS DIFFICULT TO GAIN AN INSIGHT INTO THE NATURE OF BEING, AND TO PRACTISE THE WAY. 18. IT IS DIFFICULT TO FOLLOW THE STEPS OF A SAVIOUR. 19. IT IS DIFFICULT TO BE ALWAYS THE MASTER OF ONESELF. 20. IT IS DIFFICULT TO UNDERSTAND THOROUGHLY THE WAYS OF BUDDHA.